At the Student Success Centre, we strive to provide you with the necessary skills and knowledge to succeed in your academics and your future professional career. We offer digital and print resources, workshops and events, and individual advising appointments to support your goals and help you to become a successful student. In Orillia, you can find the Student Success Centre in OA 1017. In Thunder Bay, you can find the Student Success Centre in the tunnels down the hall from the LUSU office (SC 0008). The Academic Support Zone (ASZ) is pleased to offer free daily academic support to all students. Undergraduate group tutoring and writing assistance take place on a set weekday schedule in the ASZ. Outside of the times when academic supports are being offered, the Zone is an excellent place for quiet study and functions as a drop-in group project meeting space. Check us out in Orillia (OR 1013 - 1st floor residence building) or Thunder Bay (LI 2004 - 2nd floor of the Chancellor Paterson Library)! See below for the list of upcoming Academic Prep Sessions on each campus. The Student Success Centre offers an academic program called Bounce Back geared towards first-year students. Bounce Back provides students with the attention, guidance and support they need to help achieve academic success in their Winter term. Bounce Back is delivered through a series of interactive and reflective sessions where students focus on improving their academic skills, setting SMART goals, and creating action plans to advance their academics. Click here for more information on Bounce Back. Lakehead University offers free group tutoring in major program areas for years 1-2 of many programs. This means that the tutor will be able to answer most questions from a variety of courses within a program area. Group tutoring takes place in the Academic Support Zone and is run on a drop-in basis. All tutoring takes place in the Academic Support Zone (OR 1013 - first floor of the Residence Building). Everyone is welcome in the Zone. Outside of the times when academic supports are being offered, the Zone is an excellent place for quiet study. Stop by and check it out! All tutoring takes place in the Academic Support Zone (LI 2004 - second floor of the Chancellor Paterson Library). Everyone is welcome in the Zone. Outside of the times when academic supports are being offered, the Zone is an excellent place for quiet study. Stop by and check it out! We are here to help you from the planning to the publishing stage of your assignment! We are not an editing service, but we are here to guide you! We can assist with grammar, style, and organization. We can also help you develop skills to self-edit your paper. One-to-one writing support is available through the Academic Support Zone by booking an appointment online at mysuccess.lakeheadu.ca with a Writing Coach. It is best to book an appointment well in advance of a due date. Writing appointments are designed to teach you skills, not edit your paper, and you need time to apply what you've learned! Be sure to download and use Grammarly (free for Lakehead students) before your appointment. You can also access a variety of writing resources in our Resource Library below. The Academic Support Zone is where Lakehead's free academic supports take place. Everyone is welcome in the Zone. Outside of the times when academic supports are being offered, the Zone is an excellent place for quiet study. Stop by and check it out! Our Student Success Advisors can help you learn and develop important skills to maximize your education at Lakehead University. All students are welcome to book appointments with one of our advisors at any point throughout the year. How can a Student Success Advisor help me? Are you unhappy with your grades? Are you not achieving the grades you need to meet your long-term goals? A Student Success Advisor can help you develop an action plan to help you get back on track. This plan can help you develop each of the skills listed below. How can I book an appointment with a Student Success Advisor? You can book an appointment with a Student Success Advisor by logging into the mySuccess portal. Once you login, select "Student Success Appointments" on the left-hand side. Review the online schedule and choose a time that fits your schedule. We look forward to helping you achieve your academic potential! *You may be prompted to sign in to your Lakehead email in order to access the resources below. AWARE, the Academic Writing and Research E-Learning site is a resource to help support academic skills, knowledge, and strategies that are essential to being a university student. Each module consists of a combination of text-based resources, videos, and links to additional support materials to enhance your learning. After completing each module, you will receive a certificate of completion. 2. Log into MyCourselink using your Lakehead username and password. 3. Under the "Help" menu on the right-hand side of your screen, click the "Self-Register" link. 4. Click the "AWARE" link and complete the self-registration. Lakehead University students, staff, and faculty. than 3,500 courses and over 140,000 individual videos in software, technology, and creative skills through Lynda.com. 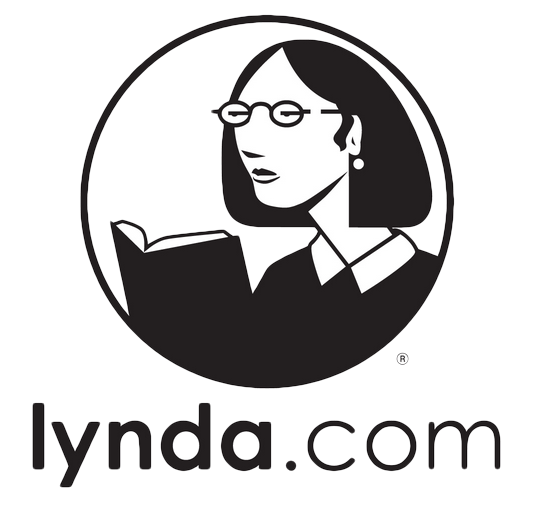 Click here to access more information about Lynda!